otator cuff refers to the group of muscles that provide stability to the shoulder joint as it moves. These are key to shoulder movements, and the stability of the glenohumeral joint. 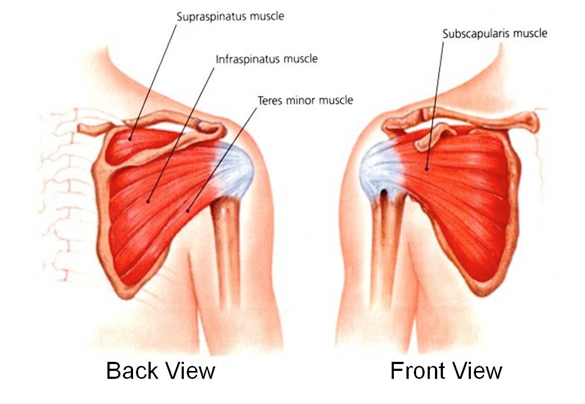 The muscles originate from the scapula, and insert at the humeral head, creating a “cuff” of the shoulder joint. These four muscles (supraspinatus, infraspinatus, teres minor, subscapularis) prevent the humeral head from moving around too much, keeping it centered in the socket of the shoulder joint, which is called the glenoid fossa. When the arm is abducted (movement away from the trunk), the muscles of the rotator cuff compress the glenohumeral joint, allowing the deltoid muscle to elevate the arm further. Without the stability provided by the rotator cuff, the humeral head would move out of the glenoid fossa, creating an unstable shoulder joint that is prone to injury from shear force disturbances. Aside from providing stability to the shoulder, the rotator cuff muscles also contribute to the shoulder movements of abduction, internal rotation and external rotation. Injuries to the rotator cuff occur when the tendons of the rotator cuff are torn. The tears can be completely or partially torn from the humeral head, depending on the severity of the injury. 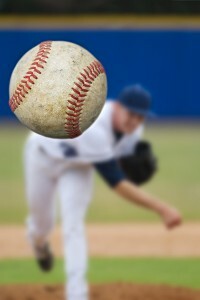 This usually manifests as pain in the shoulder, as well as a limited range of motion of the arm. There are two major causes of rotator cuff injury: degeneration and acute trauma. Tears from acute injury typically occur in athletes and patients whose shoulders were subjected to a sudden force, causing the tendons to tear. Injuries from degeneration occur when the tendons are torn, following repeated wear and tear. One of the most commonly injured tendons is the supraspinatus tendon, which is located under the acromion. 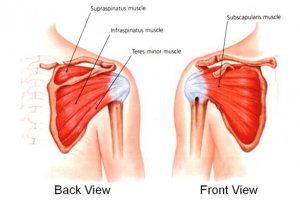 Who are at risk for rotator cuff injury? An increased risk for rotator cuff injury has also been noted among professions that perform repeated swinging motions of the arm, such as conductors of the orchestra or choral groups, and drummers. What is the treatment of rotator cuff injury? Rotator cuff injuries are normally treated conservatively, with focus on providing relief of pain and inflammation, at the same time sparing the rotator cuff from further injury. However, for larger and complete tears of the rotator cuff, surgical intervention may be necessary. Consultation with a certified Phoenix orthopedic specialist is advised before any treatment is initiated.